The Daily Nexus staff would like to extend our heartfelt thanks to the UCSB student body for supporting our publication with its vote. The Nexus generates all of its funds independently — receiving $0 from UC Santa Barbara — which means we are able to search freely for the truth. The paper, both in print and online, is funded exclusively by advertising, donations and student fees. The Nexus will allocate the funding from the $2.93 per student fee increase toward our daily operating costs — continuing to distribute our weekly print circulation, paying our staff salaries and managing our website and social media platforms. News fiends, sports fanatics, debaters, artists, scientists, foodies, grammar nerds, jokesters and shutterbugs hard at work below Storke Tower are grateful for your support. Thank you for believing in the importance of an independent, student-run news organization’s role in empowering students’ voices. You all have inspired us to continue working around the clock to keep you informed on the most important issues both on campus and in Isla Vista. 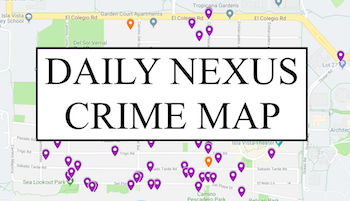 The Daily Nexus began publishing in 1930 and continues to be the go-to news source for events and issues on the UCSB campus and in Isla Vista. We offer positions for writers, photographers, artists and any creative souls interested in immersing themselves in culture and information. The Nexus provides a fast-paced environment for aspiring journalists, as well as learning opportunities for students who want to explore the stories that define our community. 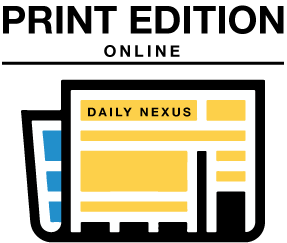 To learn how to join our staff, email eic@dailynexus.com or find specific section editors’ emails at dailynexus.com/aboutcontact/contact-staff/. Even better, come visit us under Storke Tower!